- Since year 2008 but I was not quite active back then. 2) Are you a full time blogger? - No. I have a full time job. I was more active in blogging when I was a student. It's a great hobby (even better for students) as you get to meet with a lot of wonderful entrepreneurs, PRs, restaurateurs and media friends. 3) How much do you earn from blogging? - Literally none. I do earn a little but very very few from advertising companies like Nuffnang and sometimes sponsored post but the payout is generally less than Rm 100. No, I don't take payments for invited reviews unless I am being invited by a third party company. A disclosure will be included in my blog post. 4) Do you pay for most of the food you have reviewed? - Yes, I paid for all food unless stated otherwise. Invited reviews will be disclosed in my blog post. Read about my "Disclosure of Invited Reviews" here. 5) What Camera and Lens are you using? - Just a beginners' Canon 500D with a Tamrom 17-50 mm 2.8F. 6) I wish to start a new blog, how do I start? What if I don't have a good camera? - You need not to write linguistically but think from your readers' perspective, include necessary information that they may potentially seek for. A quality camera is always good, you may not need a top-notch one but if you could afford, invest in one if you are serious about doing this. Better-quality photos tend to stand out and appeal to others. 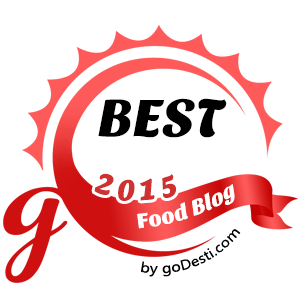 7) What are the challenges for writing a food blog? - You must be open-minded to negative comments. There are people who are too free to condemn you and find fault with you but always bear in mind that one man's meat is another man's poison. Be humble and courteous in replying to such comments. Afterall, they have the rights to voice out their opinions. Also, the way you react towards such comments reflects how educated are you. - Juggling time and money is never easy. Do at your own means. If this is your passion, do it gradually but consistently. You need not to review upscale restaurants, street foods are good enough. 8) May I ask for your permission to use your photos? 9) I left a comment under your blog post, why is it not appearing? - I moderate and read every single comment left on my blog. Your comment might be still under moderation (I don't do this everyday but only when I am free). Both positive and negative comments are welcomed but I would not approve those comments with intention to pick up a fight. I see no point in arguing; if you don't like my style of writing/ reviewing, by all means, hop over to other blogs. One or more views do not affect my blog stats anyway. Counter-commenting or arguing is not my style. 10) Why aren't you replying to my comments? - If your comment is approved and I did not reply to that; I am terribly sorry. I might not have the time to reply to every single comment on my blog and yes, I know I have yet to reply to many comments. Please bear with me, I have other commitments too. 11) How do I invite you for a food tasting at my place? 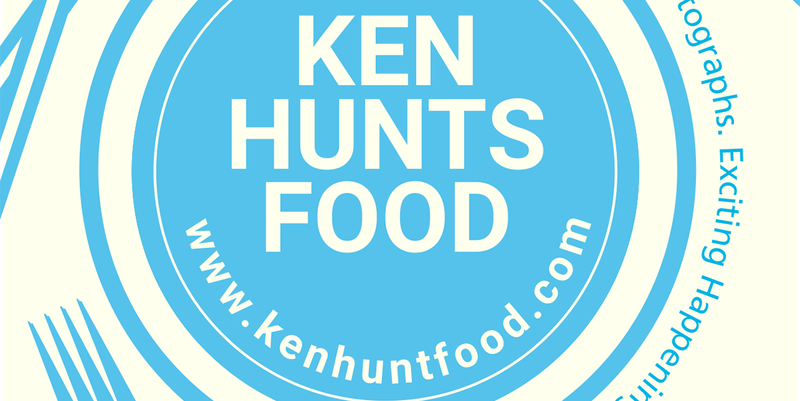 - Please drop me an email at kenhuntsfood@hotmail.com and include necessary information like the name of the place, dishes that may be served, date and time and of course, other information that you deem fit. Please do not send me a photo without words or proper sentence. I will ignore that. I don't charge for normal food tasting, unless its an event to promote your products. 12) I am having some occasion, which restaurant/ cafe do you recommend? - Please refer to my blog's List of Best Eateries in Penang and List of Penang Cafes. If you wish to enquire, drop me a message on my Facebook Page.